Dr Francois Malherbe and Dr Jennifer Downs tells us about Groote Schuur Hospital Breast Clinic in Cape Town. In 1951, Professor Jannie Louw founded the Groote Schuur Hospital Breast Clinic.Since then it has grown into a world-class centre of excellence. It has all the modern diagnostic and treatment facilities needed to treat patients presenting with both benign and malignant breast pathology. In 2016, the breast clinic processed 7 200 patients and diagnosed 572 new breast cancers. 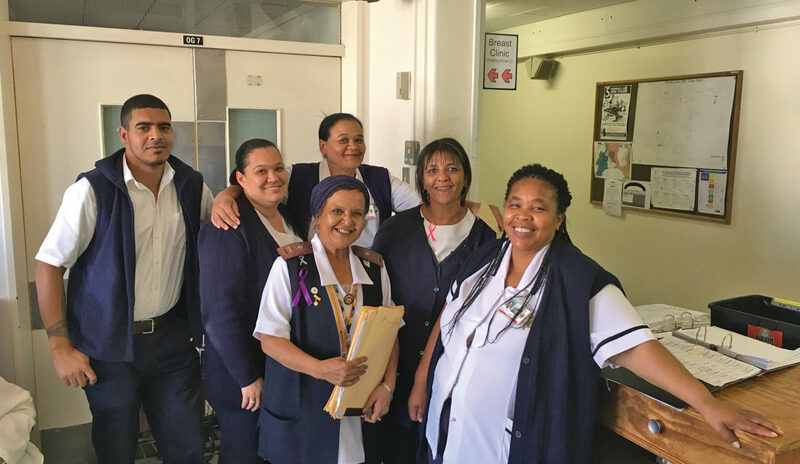 Groote Schuur Hospital Breast Clinic’s vision is to offer world-class breast cancer treatment to all public sector patients that are treated at the clinic. Therefore, there is no reason why our patients cannot receive treatment equivalent or even better than patients diagnosed in London or New York. The Groote Schuur breast service is based around a multi-disciplinary team. This involves breast surgeons, radiation and medical oncologists, radiologists, pathologists, plastic surgeons, oncology and outpatient nursing staff, genetic counsellors, social workers and a palliative care team. The breast clinic is staffed by two breast surgeons, a breast surgical trainee surgeon, two registrars and four sessional general practitioners with a breast health interest. Sister Galima Fish, the breast clinic coordinator, manages the administration of the clinic and helps with the coordination of the various clinics and meetings. She also provides both patients and health providers at the referral clinics with breast health information and education. The Groote Schuur Hospital Breast Clinic is situated on G-floor in the outpatients building. A rapid access clinic is offered every Friday, with no appointment system for new patients. Patients are referred to the clinic from local health facilities and general practitioners in the Metro West drainage area of Cape Town. The first eighty new patients are seen on a first come, first served basis. Usually all patients are seen on the day of presentation. However, during the busy period of October to December, patients may receive a date to come back after being triaged. Follow-up patients are seen on an appointment system. In 1982, Professor Dent, Dr Hacking and Dr Learmonth established an on-site, real-time cytology (pathology) service. To this day, it is still one of only a few such services offered around the globe. Patients with palpable breast lumps receive a same-day fine needle aspiration and cytology results of breast cancer. This relieves a lot of the anxiety associated with waiting for a result after a biopsy. With this service, it is possible for a patient to discover a lump in her breast, receive a biopsy result and see a surgeon and/or an oncologist on the same day. Once a breast cancer is diagnosed, all other diagnostic and staging investigations can then be fast-tracked. Newly diagnosed breast cancer patients are prepared for the long road ahead with information regarding the treatment of breast cancer. The breast clinic is supported by a Radiology Department offering a full array of radiological investigations. There is a mammogram machine with tomosynthesis (breast tomosynthesis is an advanced form of mammography, a specific type of breast imaging that uses low-dose X-rays to detect cancer early) and a high-definition ultrasound scanner. Specialised investigations, like breast MRI and stereotactic or ultrasound-guided biopsies are offered to our patients. In 2014, a satellite breast clinic, based on the Groote Schuur Breast Clinic model, was opened at the newly built Mitchells Plain District Hospital. The reasoning is to take the services closer to Groote Schuur Breast Clinic patient population. In 2016, the satellite clinic processed 836 patients and diagnosed 42 new breast cancer patients. Pink Drive supports the mammogram service at both clinics by providing mobile mammogram services at both sites. 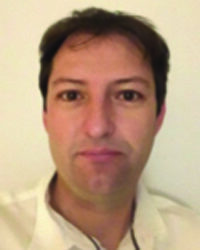 Dr Francois Malherbe FCS(SA) is a specialist breast and endocrine surgeon working at Groote Schuur Hospital and UCT Private Academic Hospital in Cape Town. He has a special interest in oncoplastic breast conserving surgery for breast cancer. 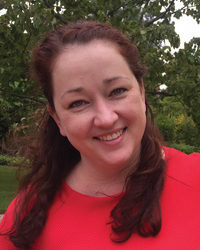 Dr Jennifer Downs MBChB, MMed, FCS(SA) is a breast and endocrine surgery fellow at Groote Schuur Hospital. Next → Next post: Chocolate – guilty pleasure or health booster?